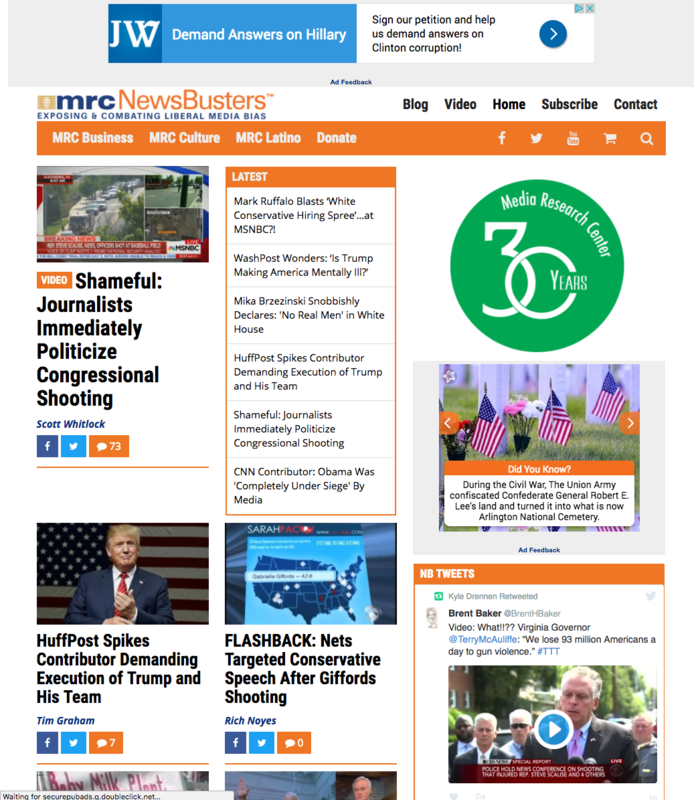 NewsBusters is an online rapid-response vehicle for documenting, exposing, and neutralizing liberal bias in the media. The blog, started by the Media Research Center, provides widespread exposure of liberal media bias, insightful analysis, constructive criticism, and timely corrections to news media reporting. NewsBusters also features the popular newscast, NewsBusted, parodying recent events in fresh and fun ways. Connecting your brand with the NewsBusters audience gets you front and center with one of the most powerful audiences on the Web—they are independent, affluent, and committed. These readers are passionate champions of America–our politics, products, and causes. This is a great medium for direct response and political causes to reap solid results. This group loves to stay healthy and work on their DIY projects, purchasing from large retailers like Home Depot and Lowes.